Born in Bath, Chef André Garrett’s route to his current role as Executive Chef at Cliveden House in leafy Berkshire took a detour via central London and the various kitchens of Chef Nico Ladenis (Simply Nico, Nico Central and Chez Nico). 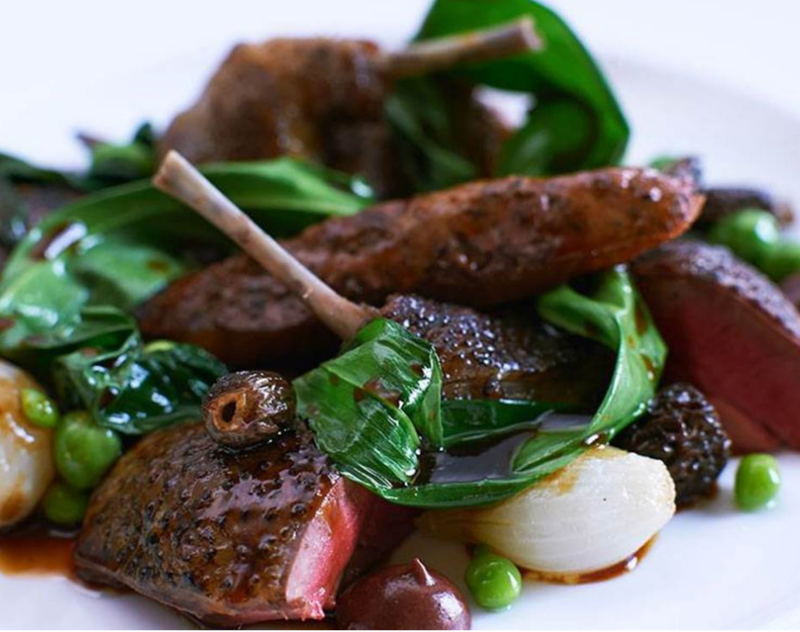 After some time at Bruno Loubet’s Bistrot Bruno and The Landmark Hotel, he joined Chris Galvin’s Orrery in 2000. A year later, he won the Prix Pierre Taittinger Competition followed by the 2002 Roux Scholarship, going on to become Head Chef at Orrery that year. 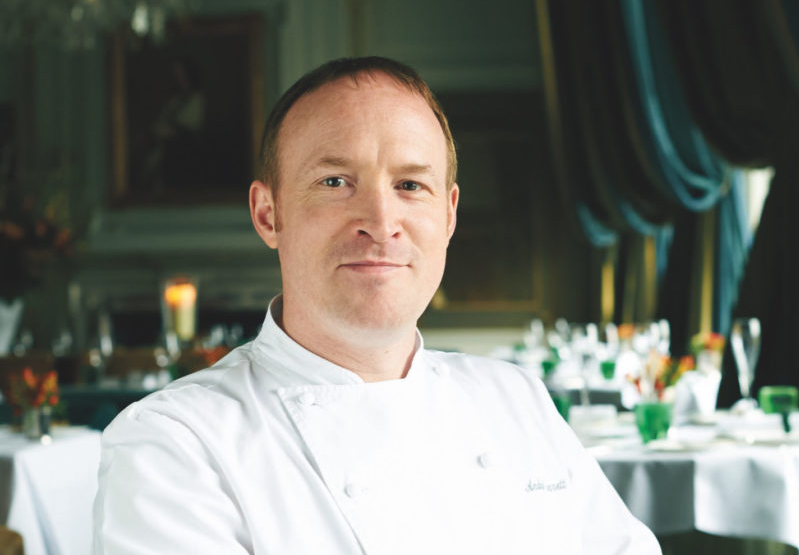 In 2006, another Head Chef role beckoned, this time at Galvin at Windows. The restaurant was awarded a Michelin star four years later. Incidentally, André will be celebrating four years at his eponymous restaurant at Cliveden next month, where the menu showcases his modern take on French cuisine. Taping of the booking sheet in a very tidy manner to the pass and cleaning every bottle of oil, dressing, etc. ready for use. For me, this shows we are ready and I feel confident in my surroundings. What is your view on adding a service charge to the bill? I believe it is needed to help pay our service staff better, but it needs to be managed properly and fairly. De Librije in Holland; currently considered one of the best and unique in Europe. 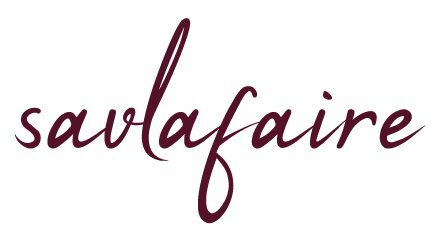 In which restaurants do you most enjoy eating on your nights off and what sets them apart? 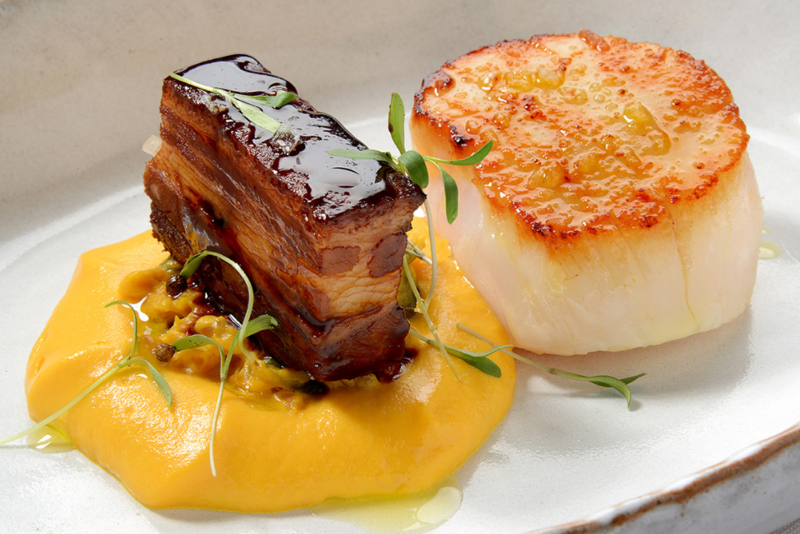 Locally I enjoy The Coach in Marlow, The Hind’s Head in Bray and The Beehive in White Waltham, all run by great chefs, brilliant food and relaxed and fun. After winning the Roux Scholarship in 2002, you spent the year at Guy Savoy in Paris. What are the main differences between French and British kitchens and attitudes towards food? Nowadays I am happy to say nothing. We have come a long way in the UK in kitchens, but Paris still wins with regard to high end food and brilliance at some restaurants, and also the ability to get the best produce possible. Which one of your original creations are you the proudest of and for what reason? It’s a dish of seared foie gras with smoked eel and pineapple. I used to do at Galvin at Windows; it is really unusual, but really works well and is utterly delicious. What is your favourite smell and what are the memories and feelings most strongly associated with it? I love the smell of the sea when preparing really fresh seafood; it takes me back to when I was a child on holiday with my parents in Cornwall. If you were making a 3-course meal for your biggest food hero, which dishes would you select for this one-off menu and why? Rice pudding soufflé with prune and Armagnac. I would cook this for Chris Galvin: a great friend and restauranteur and someone I greatly admire. The DNA of a sporting champion; I am very interested and influenced by these and believe we can all use a little of this in our own lives. If you could go back in history, who would you like to meet and why? I would like to go back to Escoffier times, and to his kitchen to see how they ran and how he came up with his famous creations. What was your last random of act of kindness, who was it for and what inspired this action? I don’t really believe in random acts; I always try and be courteous and respectful in life. I do charity events every year, whether it be cycling 100 miles or cooking in a tent for 300 people. You could say this is kind. Which two questions would you ask to get the most information about who a person truly is? This is difficult… The thing that means the most to me is my career and experiences. I have worked very hard and experienced things I could never have dreamed of when I was younger. The Usual Suspects, Star Wars and Wonderwall by Oasis. Which human trait is useful now, but would have been disadvantageous in the past and why? Our ability to change and be flexible; in the past, the stresses of life and business were not as they are now. At which job do you think you would fail miserably and what makes you incompatible with this industry? Anything that makes me sit in front of a computer and do spreadsheets: I could never imagine this. What was the best compliment that you have ever received and why was it so meaningful to you? I cooked for Chris Galvin at The Orrery shortly after taking over from him as Head Chef after my return from Paris. I cooked a menu with my team from my heart and he said it was one of the best things he had ever tasted. I knew I was ready to lead and go forward for myself as a chef. What would your perfect day look like and why would it be so special? Waking up overlooking the sea, a nice breakfast, long walk with the dog, some oysters and a little aperitif, then a lovely dinner watching the sun set over the sea, all with the lady I love. 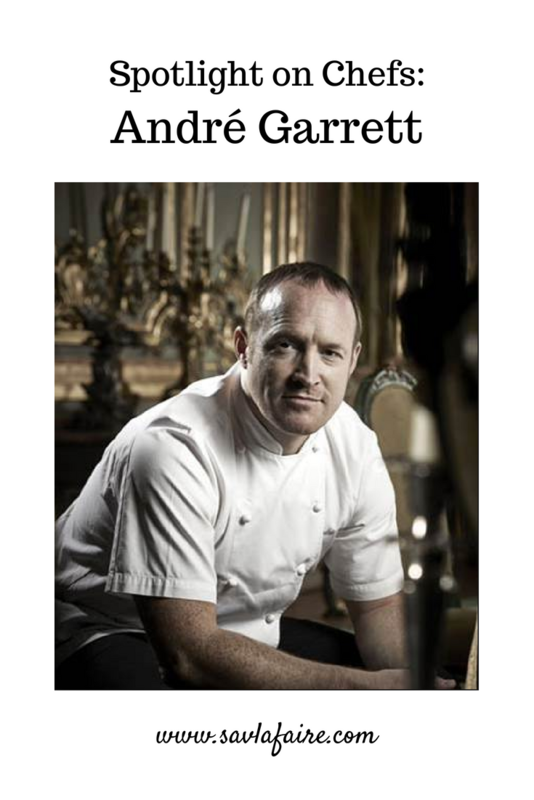 If you enjoyed reading this Andre Garrett interview, you can check out more exclusive Spotlight on Chefs interviews here.